We’ve all been there. Is it infatuation or is it love? Unfortunately they don’t teach such things in school. I am getting to the age where friends are taking that step and walking down the aisle. These people have clearly found the answer, or at least, have committed themselves to each other for the rest of their lives to find it. Despite my not being married, I have learned a few things from experience and through the wisdom of friends about what love is NOT. There are couples all around us, and I want to share this for all the ladies who may be struggling or mistaken about some of these things. Wrong. Wanting to spend time with your significant other is completely normal, but demanding every second is another story. That is not love, but rather control. Someone who loves and cares about you will respect your space, and not be envious of your time with other loved ones. He will not try to isolate you from them. 2. Making you a better person vs. making you feel bad about the way you are. It’s easy to mistake the two. Your significant other should never make you feel bad about yourself, but rather support you. You may have some things you need to improve on, but your boyfriend should not lecture you. You likely already have a Daddy, and you don’t need 2. You’re an independent woman who can handle herself. He should respect that. Ignoring you, belittling you, or yelling at you is NOT love. 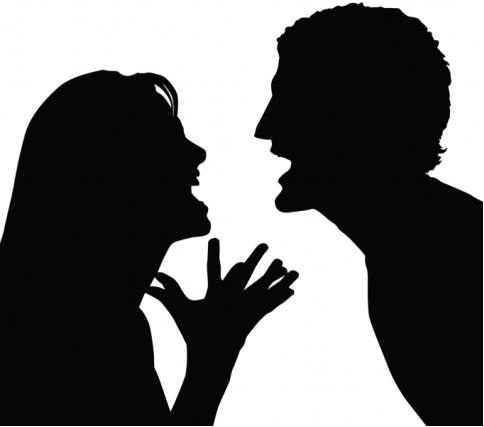 Some women fall under the impression that because he yells or loses his temper, he must really care. Maybe he even told you he wouldn’t get upset if he didn’t care so much. Well, it’s not acceptable. He should respect you enough to not give you the cold shoulder. Facebook declarations of love, cute wall posts, buying you flowers, etc. are all nice, but how does he treat you behind closed doors? On the outside, he may put on a show of love…but is it real? Does he respect you and value you? As I said, showy stuff can be nice, but remember what really matters. Any man who cares about you will make an effort to meet and engage with your friends. Does he have to attend every single event or friend outing that happens? Absolutely not. But he won’t be a stranger. If he cares about you, he will get to know the other people in your life that you care about. To some, this may seem like common sense. But it’s one thing to say it and another to believe it. No one is perfect, but there are certain behaviors that are just not acceptable and should not be tolerated. And one of my worst fears is seeing the women I love confused and torn about what’s happening. Everyone deserves to be treated right, and I don’t want to see them settle for less. I believe that someone should definitely be selective in what kind of behavior he or she accepts from others, but I also believe we should be equally as selective in behaviors we accept from ourselves.